Even sportier and more aggressive, the special SuperSport version is elegance and enthusiasm, grit and power: a real object of desire. With all its design and technological content, the Vespa GTS Super 300 reinterprets a new sporty classic from the mighty Vespa collection. While plenty of functional details, like the USB port in the double compartment under the leg shield back plate, it certainly hasn't forgotten its racing spirit. The new two-tone alloy rims nod to the past and highlight the sporty attitude of the 145th model in Vespa’s history. The red spring of the front suspension and the new front grill add to the sporty feel. While the lights are now modern LEDs, in stark contrast, we still have a completely analog instrumentation, which harks back to racing traditions, offering a beautiful display of white numbers on a black background. The saddle is comprised of materials typical found on sporty Italian vehicles, and the body, the metal soul of the Vespa, has undergone some significant changes. 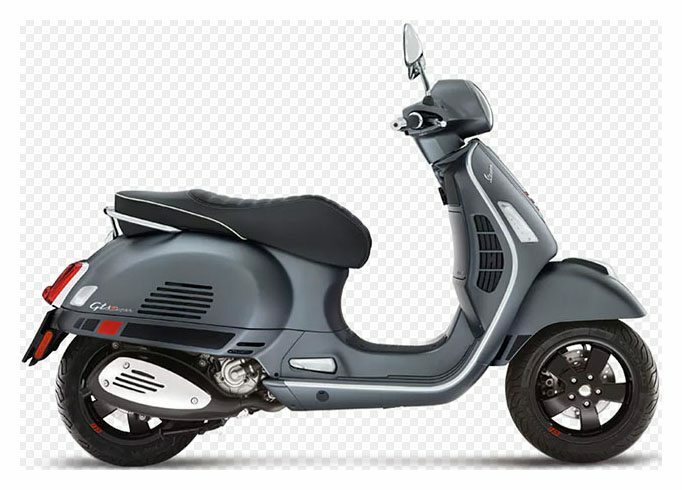 On the right hand side the horizontal grill nods to the most beautiful Vespas of the past and gives an elegant sporty touch to the vehicle's profile. And for increased safety, the front and rear disc brakes are now equipped with ABS and Piaggio's ASR system. 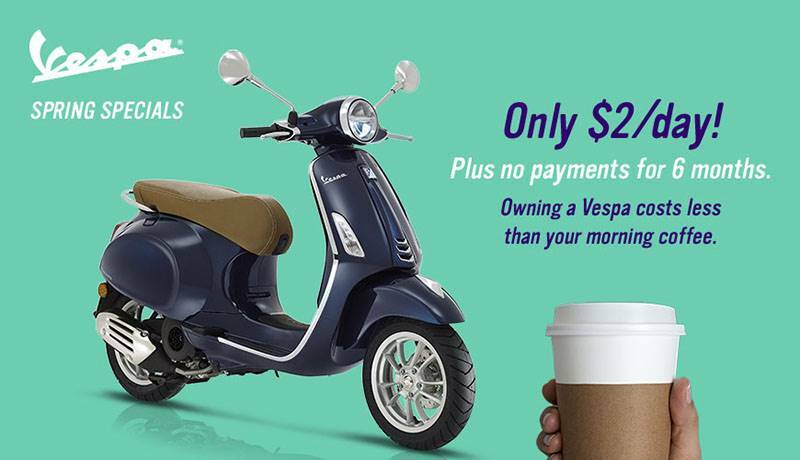 TECHNOLOGY AND SAFETY: The ABS brake system and the ASR traction control, a Piaggio Group exclusive, make the Vespa GTS Super ideal for both big city traffic and touring, even long range, to enjoy in total comfort, whether alone or in company. Locking the wheel or hitting the brakes because of a slippery road surface is, generally speaking, the worst hazard for scooter riders. The adoption of the ABS anti-lock system intervenes to prevent this risk and makes your journeys fun and safe. Front - Tubeless 120/70-12 in. Rear - Tubeless 130/70-12 in.